Michael Carrick has become the subject of much interest over the weeks, particularly as the January transfer window looms ever closer. This is despite the veteran midfielder not having played for the Red Devils since late September due to illness. The 36-year-old is poised to retire later this year, but has with him a rich history of experience. It is this very factor that makes him an attractive player for the likes of Aston Villa, West Brom, and even Leicester City, all of whom have expressed a desire to sign him. However, ESPN is adamant that the English legend is going to stay put at Old Trafford despite the strong interest. The same source believes an intention from Jose Mourinho to have him with the side to be the reason behind the decision. This comes as no surprise, as the former Chelsea boss will find in Carrick a ready source of experience as well as a formidable position as a leader. It was this that led to him being named the side’s captain after the departure of Wayne Rooney to Everton. Over the seasons, the former Tottenham player has been deployed decisively to secure the United midfield. Further, all three managers since Sir Alex Ferguson have found a use for him even in the defense, where he has not disappointed either. In addition, the fact that he currently coaches the club’s U-14 squad might also be incentive to not heed the calling of other sides. 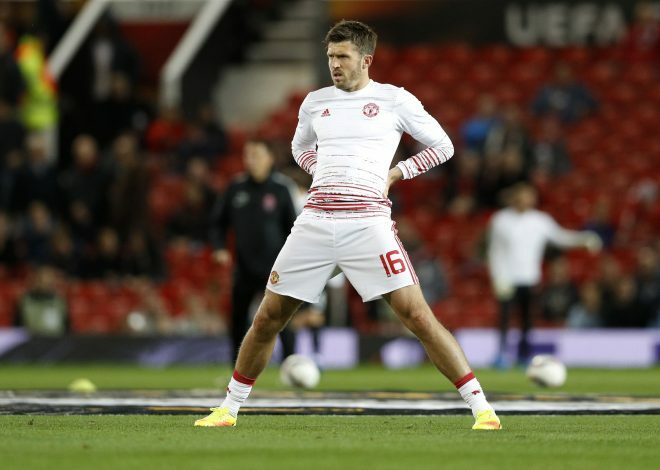 At the moment, however, the club’s medical staff is puzzled by Carrick’s illness, and that will stall any return date, and for that matter, any move away as well. Since he is already in the final years of his career, it would make sense to stay with the illustrious Red Devils, even if it means barely getting regular game-time.